In the Westpreußisches Landesmuseum, lectures, readings, workshops, book presentations and symposia take place on a regular basis. The schedule of public events is published always in advance, covering a time span of one, two or three months. These announcements can also be sent to subscribers via mail or e-mail regularly. Some events are hosted by the Westpreußisches Landesmuseum individually, while others are conducted in cooperation with the Kulturstiftung Westpreußen or the Department of Cultural Education. Independent of these opportunities, the Kulturstiftung Westpreußen and the Department of Cultural Education also organise independent events within the Westpreußisches Landesmuseum. 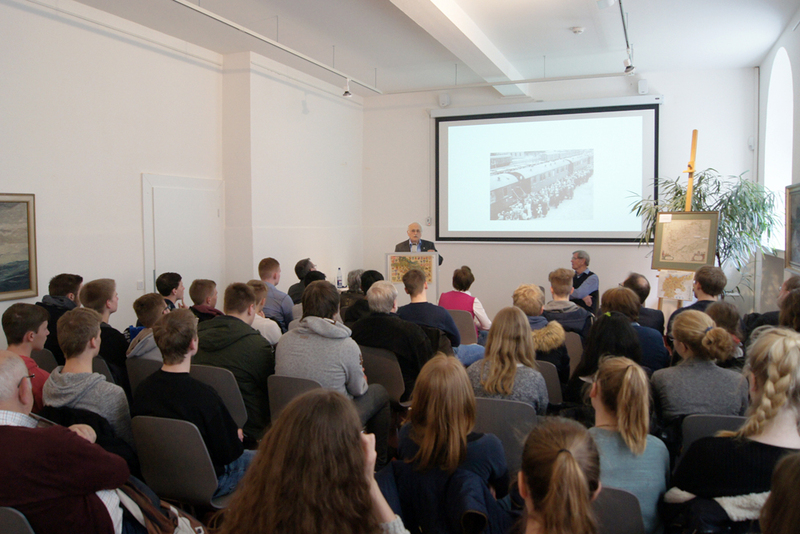 The Kulturstiftung organises events of this type less frequently, but they may include special academic or research events, such as conferences or symposia. The Department of Cultural Education, however, located within the museum but independently sponsored and supported by the Federal Government Commissioner for Culture and the Media, organises events of this type more regularly: The Department’s field of interest is not limited solely to West Prussia, but also encompasses the Poznań Region and Central Poland. Furthermore, cooperative activities with schools, in particular, also belong to the spectrum of its far-reaching educational work, as well as programs for children and young people.